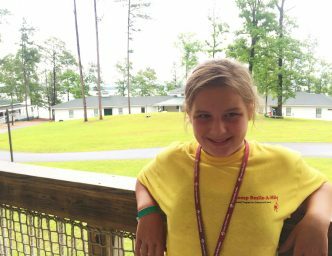 I am so glad I came to Smile-A-Mile’s Sibling Camp! I know that there are a lot of camps for children with life threatening diseases but this is the only one I know of that actually gives siblings a chance to come and spend time here. I think my favorite part would probably be tubing on the banana boat because flipping is just awesome! I want to keep coming here and be a counselor when I am older so I can give other kids the same gift SAM has given me.